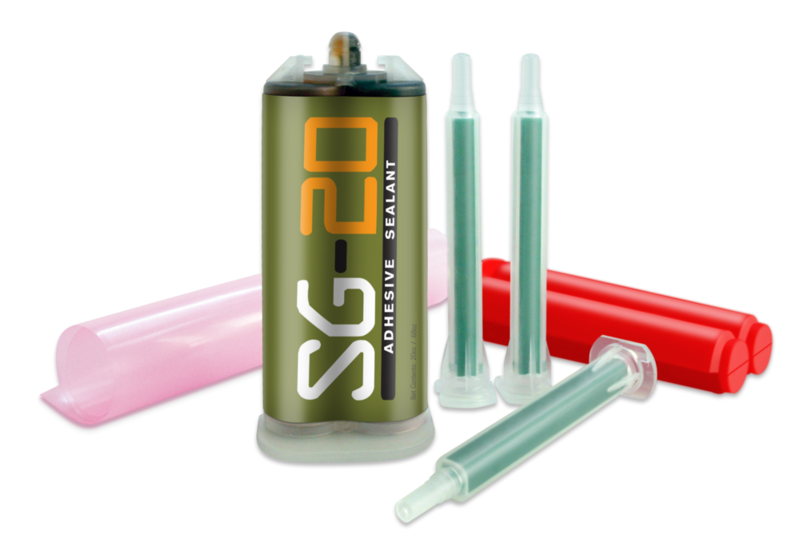 SG-20 Outdoor Adhesive sealant works best when applied to a clean dry surface. Can be used for: neoprene, canvas, Frogg Toggs®, rain wear, Muck® boots, boots and shoes, wood, aluminum and much more. SG-20 mix tip refill pack.